One of my all-time favorite appetizer platters is Antipasto. Every party should be fully equipped with one. Or five. It has all the right stuff -- cheese, prosciutto, capicola, olives -- and so much more. 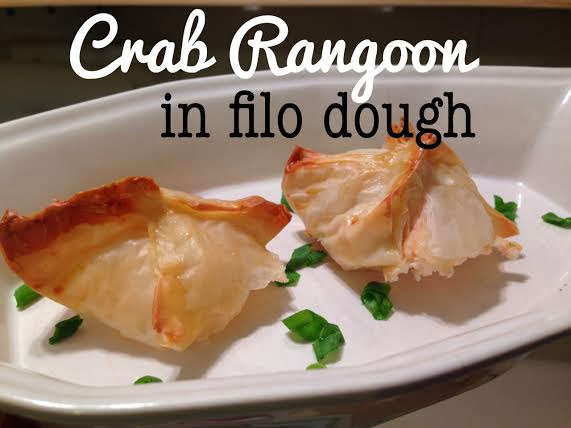 Pair my favorite appetizer with my favorite entree (pasta, in all of it's glory), and you have this creation! This pasta dish includes most of the delicious flavors that you would see in a traditional southern-Italian antipasto dish, coupled with lots of garlic and a hint of fresh lemon. 1. Coat a large skillet with 2 tbsp. of extra virgin olive oil. 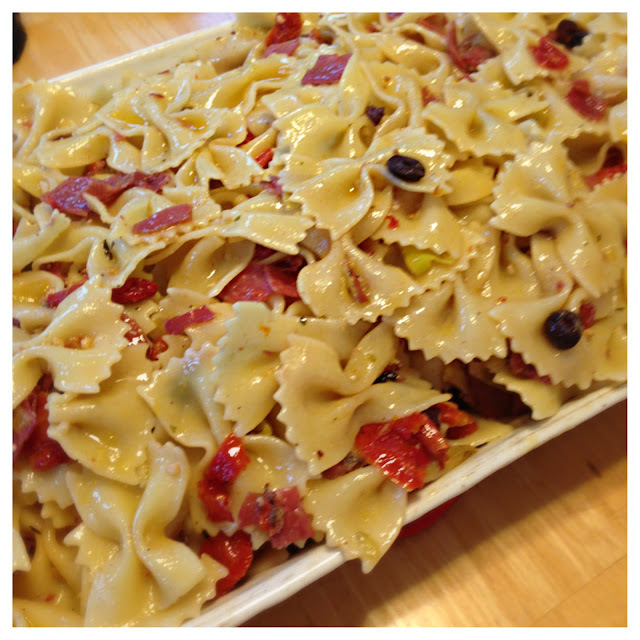 Drop in half of the minced garlic, diced prosciutto, salami, olives, pepperoncinis, and sun-dried tomatoes. Saute on medium-high heat for about 5 minutes, or until the ingredients have had a chance to incorporate. Pour half of the white wine in the pan, and let it reduce by half. Sprinkle with oregano and fresh cracked pepper. 2. Bring a large pot of salted water to a boil. Cook pasta according to package directions, probably about 8-10 minutes. (Drain - don't rinse! I hate when I see people rinse pasta after they've taken the time to salt the water. Makes no sense.) Pour all of the ingredients from your skillet over the pasta and stir well. 3. In the empty skillet, heat the remaining 1/4-cup of extra virgin olive oil. Drop the remaining garlic, white wine, and butter, and saute until fragrant and the butter has melted. Pour garlic-oil sauce over pasta. Add the zest of the lemon, along with the juices. Stir well. (Add salt if needed.) ENJOY!